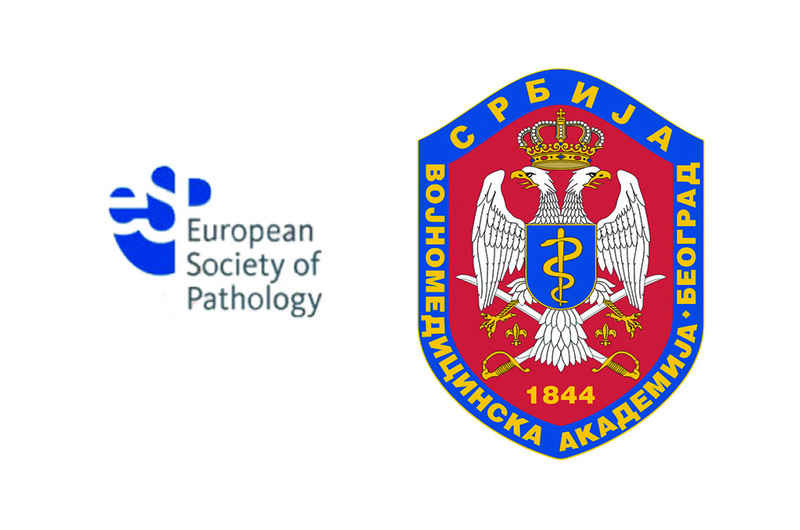 The doctors of the Institute of Pathology and Forensic Medicine MMA led by Head of the Institute Prof. Dr. Cerovic represented the Military Medical Academy at the 27th European Congress of Pathology, held from 5 to 9 September 2015 in Belgrade. In addition to the significant participation of the MMA's physicians in the form of presentation of papers and co-chairing poster sessions, two resident physicians were awarded grants on this occasion from the European Association of Pathologists. Professional congress program was divided into sessions devoted to education, quality assessment and public awareness about this specialty, and the main topic of the event, which brought together participants from 81 countries was "Pathology - breaking barriers in medicine." Through lectures from some of the most famous names in this branch of medicine the important changes in science that have an impact on everyday decisions in medical practice were pointed out as well as the importance of interaction with other pathology specialties such as genetics, molecular biology and bioinformatics. Also, for the first time the topic "The pathology in the public," was discussed at the Congress with the idea of ​​promoting the importance of this specialization ahead of the 18 November, the International Day of pathology.